If you need a superior finish to your gorgeous home then an aluminium Bi-folding door is exactly what you need. Available in sizes up to 3 meters tall and virtually no limit on the amount of panels you can stack next to each other you can open up an entire wall allowing your home to flow seamlessley into your garden. 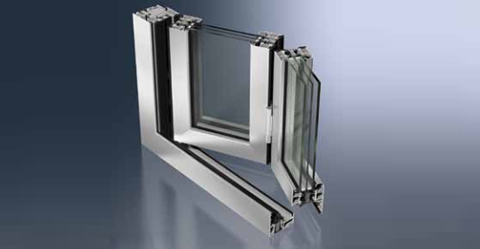 Sleek and stylish slim-line profiles ensuring maximum glazing area for an unobtrusive view. You can dramatically transform the way you live by choosing one of our Bi-folding door options. All our aluminium Bi-folding doors are thermally efficient so no matter what the weather your home will remain at a constant temperature all year round and whatever style or size of your property, our flexible door system opens up a world of possibilities. Our aluminium door frames are lightweight and strong and are ideal for large areas of glazing which you want to open up as a function yet practical space. Our Bi-folding doors are available in a wide choice of colours and finishes, and this stylish door all features sleek, unobtrusive frame work to complement the glazing. Create a contemporary, minimalistic feel in your home with a slim line aluminium Bi-folding door. To see how easy it is to order this type of door, invite us round to survey and measure up and we can give you all the options available and a no hassle quote. Call our friendly team today and book your no obligation survey appointment.